Hooray! 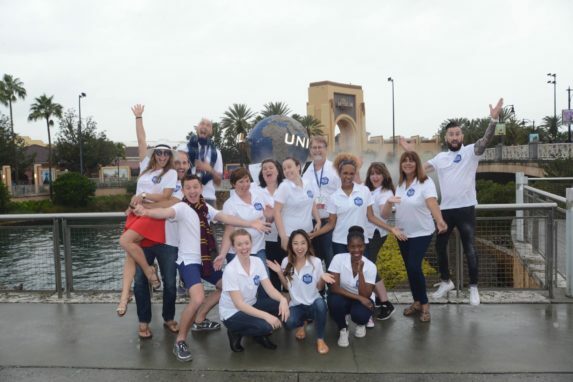 We get to be a part of the Universal Orlando Resort Blog Squad! This is going to be a crazy and fun experience. What does this mean? 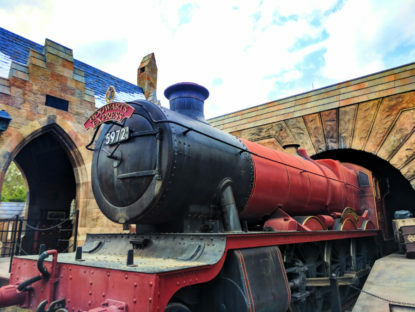 It means that throughout the year we’ll be taking several trips to Universal Orlando for fun events, new experiences and just generally great family time. 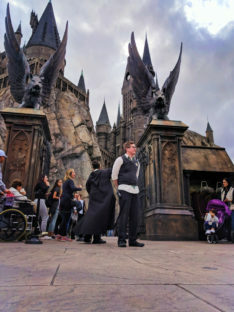 This particular trip it’s just me (Rob) scouting out the whole resort and participating in some really cool events surrounding the Wizarding World of Harry Potter. It’s going to be a jam packed week followed up with a few days of exploring the area around Orlando. 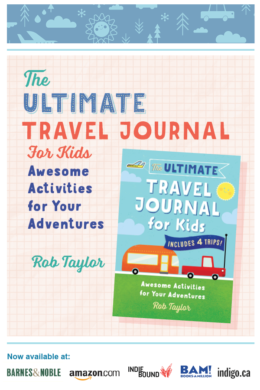 Follow along with this travel journal for daily updates and pics, including some extra special Harry Potter coverage! 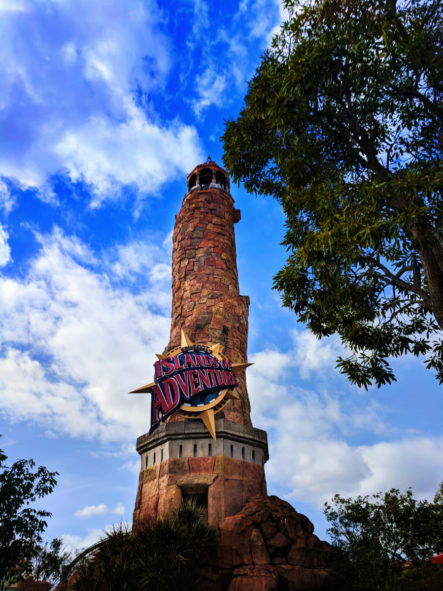 Universal’s Islands of Adventure theme park – OMG! 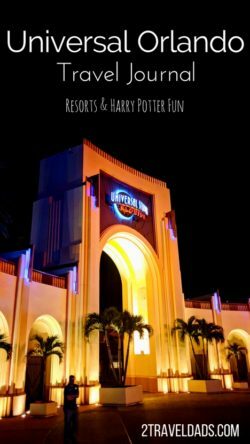 More to come this year as we explore Universal Orlando Resort as a family and as part of the 2018 Blog Squad! 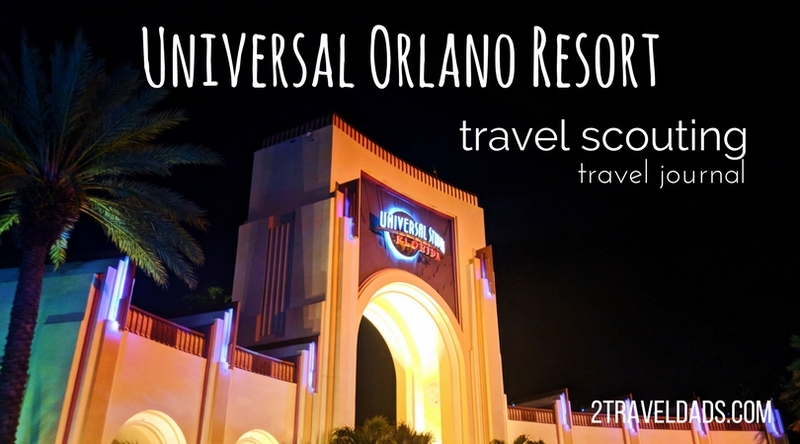 I’m actually here in Orlando with several other travel bloggers as we get acquainted with the whole Universal Orlando Resort. 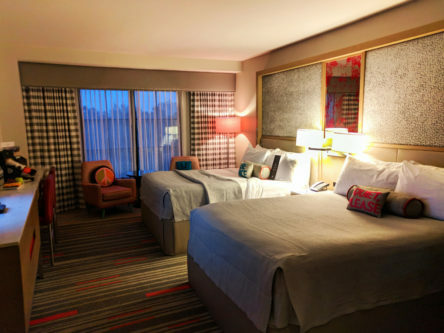 The resort includes several hotels, Universal Studios, Islands of Adventure and Volcano Bay (water park). It’s tough to say what I’m most excited about. This place is pretty great. 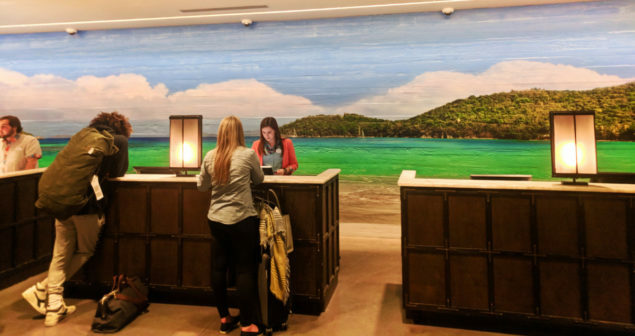 It’s got a very subtle Florida Keys feel to it with the colors, beach/island references and art, and the carpet that looks like waves. I’m in a Queen/Queen room with enough space for a family of four to be comfortable. Bathrobes don’t come as a standard in the rooms which surprised me, but a quick text message to the front desk and I had one! Awesome guest service: when I checked in the desk agent asked if it was okay to send me a welcome text. I said sure and then got a text telling me that I could communicate with the hotel staff via text if I needed anything. Score! So easy, especially when I left the property. Really cool. The pool area is beautiful with tons of chair space and different pool areas. 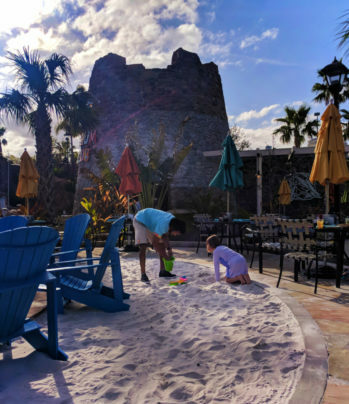 There’s even a sandy beach and a waterslide. One of my favorite features of the pool area, and we loved this at Aulani and the Grand Californian too, is that the hotel provides life jackets for little kids. Love that! It’s becoming a service standard in hotels and resorts and really does put the parental mind at ease. 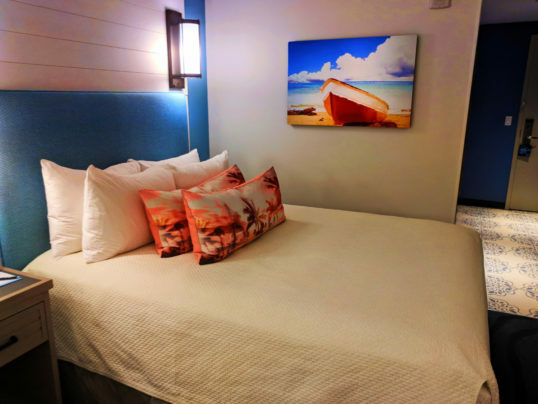 Staying at one of the Universal Orlando Resort Properties, my hotel is located on a waterway connecting the hotel to the different Parks and the City Walk. 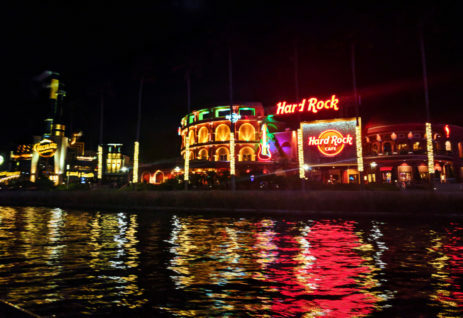 After I got settled into my room I headed out of the hotel and hopped on the water taxi to the City Walk. It was such a cool way to get there. 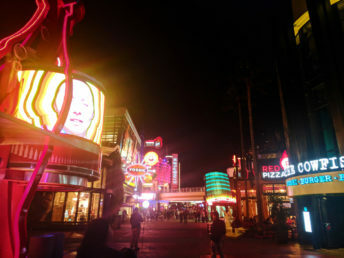 The Universal City Walk, both in Hollywood and here in Orlando is a place for food, fun, shopping and even music. 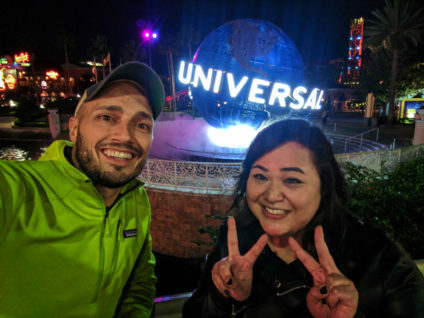 We had a really great, and totally unusual dinner at the Cowfish in the City Walk. 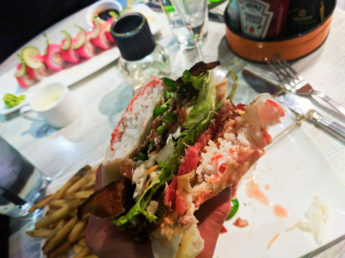 Um, I had a sushiburger: seared tuna with avacado and salsa type goodness served on fried stuffed spring roll papers. Deliciousness embodied. 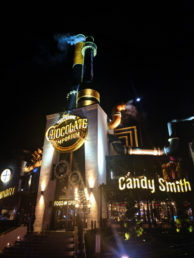 After dinner my friend and I strolled the City Walk taking pics (way too Instagramable) and exploring. Know what we happened on and totally couldn’t get into? The Killers were playing at the Hard Rock Cafe in the City Walk! We could kind of spy in but couldn’t get into the show cuz it was sold out. Lesson learned: check out who’s playing at the Hard Rock Cafe before you arrive, otherwise you’ll just kick yourself and feel like you’re missing out on something great. 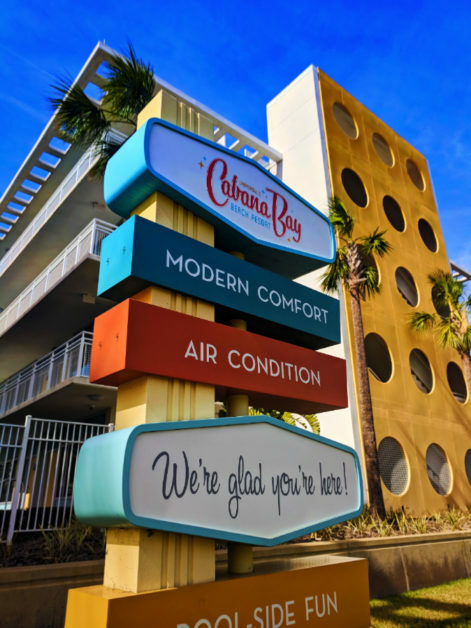 Across the Universal Garden walk from my hotel is the Cabana Bay Resort. OMG. 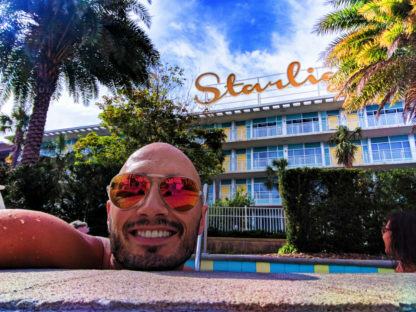 It’s a 1960s themed pool paradise. Seriously, it’s like it was lifted directly out of the film Catch Me if You Can. It was just too cool and we loved the pool, waterslide, hot tub and beach area. And now I’ll just leave these pics here because it’s such a cool, and again totally Instagramable, resort space. 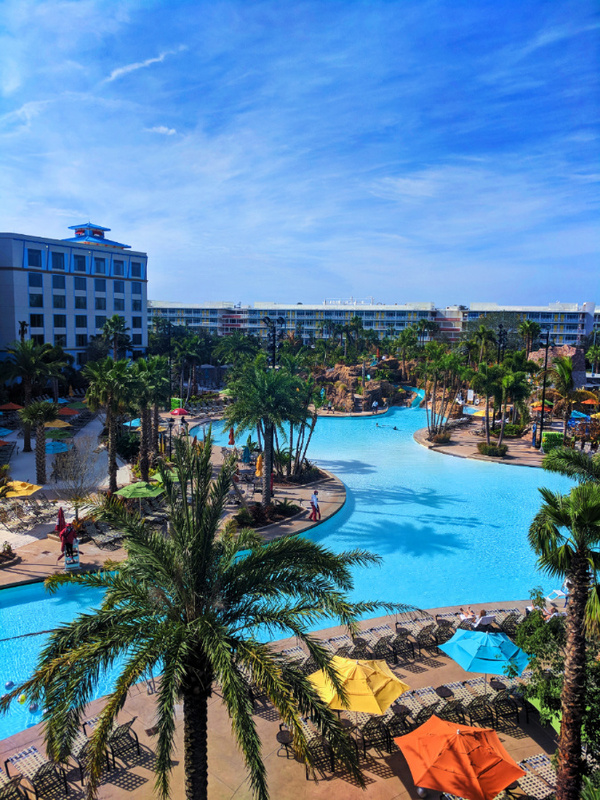 Universal Orlando Resort travel tip: if you’re staying at one of the resort hotels you can go between them and enjoy the different pool areas. Each resort hotel is very different and offers a different pool experience. Wow. 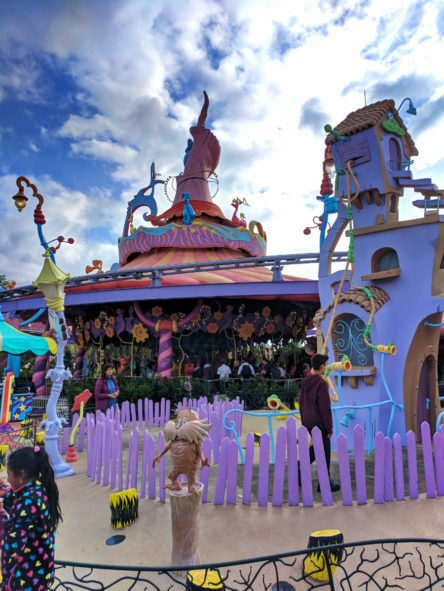 It keeps on coming up in conversation with friends and other members of the Universal Orlando Resort Blog Squad as to what I think about the whole Universal experience vs other theme parks we’ve done with the kids. 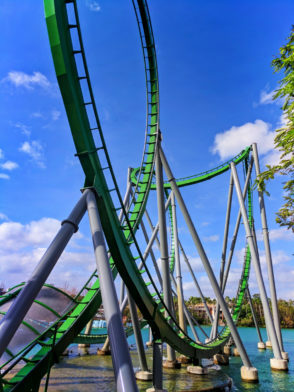 My only response, particularly after visiting Universal Islands of Adventure, is that the experience here is totally different and not comparable to other theme parks. The thrill, suspense and theatricality are much higher here than I expected. 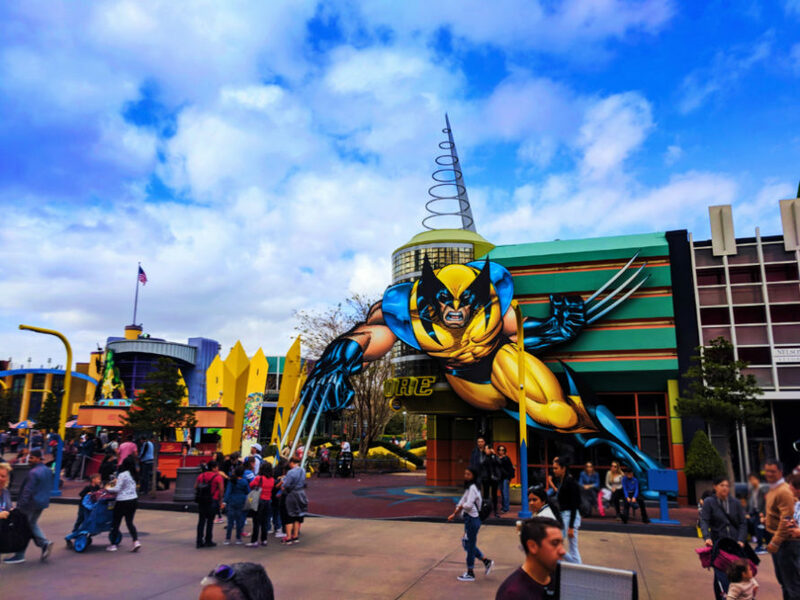 Islands of Adventure is a really cool place because it’s broken up into different “islands” such as Super Hero Island, the Lost Continent, Jurassic Park… Each area is very different in terms of the story going on and each has its own attractions, intense and chill. There is actually much more in Islands of Adventure than I expected. 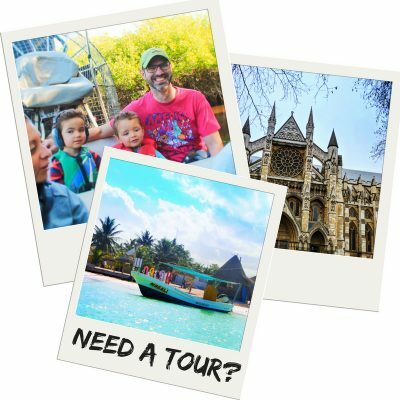 Tip: if you have sensitivity to motion and high intensity rides, there are certain attractions that you will want to sit out when your family goes on them. Example: the Amazing Adventures of Spiderman. 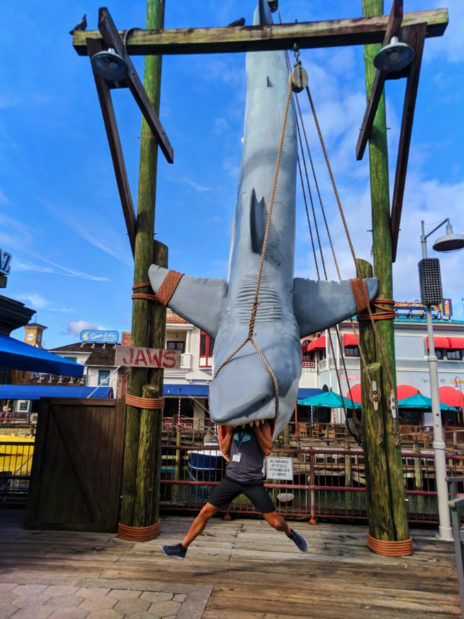 It is super cool and action packed… and the motion paired with things flying by your face might make you more nauseous than any other attraction you’ve experienced. 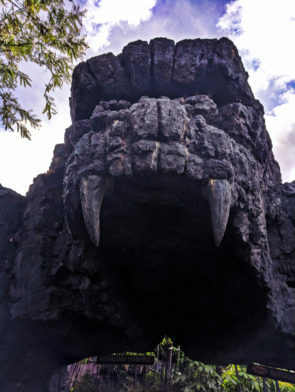 My favorite attraction was, for sure, Kong: Skull Island. Wow! FYI, this ride is not for small kids because there are some graphic parts and it’s pretty intense, but it’s awesome! The reason we’re here doing our blog squad retreat this particular week is because it’s the very grand Celebration of Harry Potter. This means that there are events and exhibitions about Harry Potter, the production of the series, panels about Pottermore, book goodness, and more. 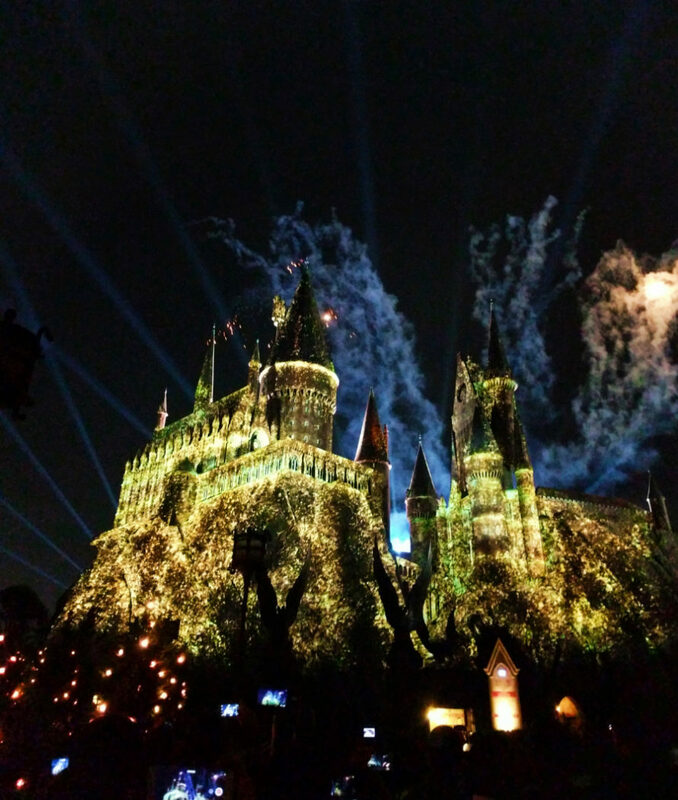 And something that was a super special treat was the new light show on Hogwarts. A combination of music, light animation and pyrotechnics it’s kind of amazing. I’m not huge into Harry Potter and I had goosebumps. Loved it! 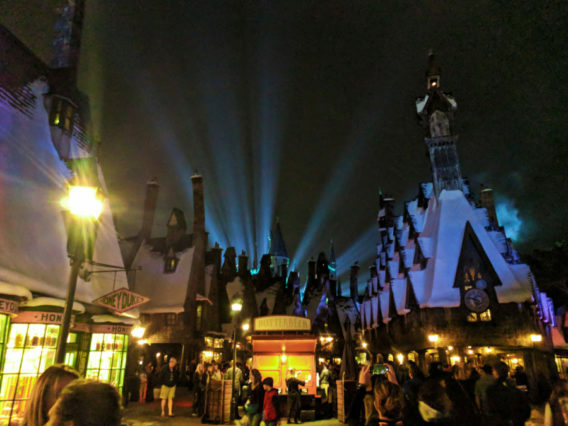 The Wizarding World of Harry Potter itself is really incredible. Walking through Hogsmeade was like stepping into a totally new world. 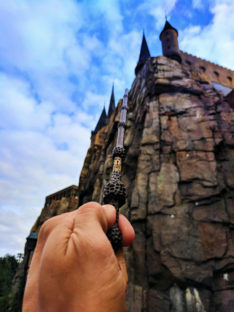 Using my wand, I was able to cast spells and bring different elements of the area to life. I drank Butterbeer and Pumpkin Juice. The attractions are impressive (again with the motion sickness thing though). 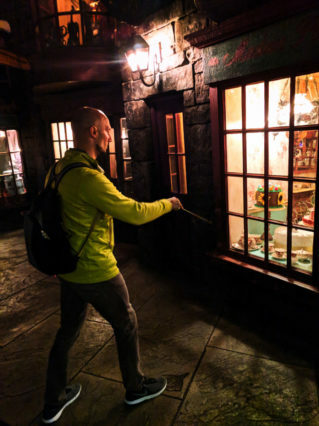 And Ollivander’s Wand Shop was entirely too cool, and I can’t say much more about it… but just know that you MUST go in if you’re visiting Universal Orlando Resort with kids. Sorry for the delay. So much has been going on and we’ve experienced some really cool moments. After spending a day doing Universal’s Islands of Adventure, we got to do the Studios and it was wayyy different. 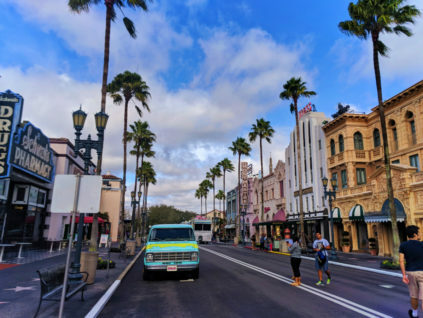 Being set amidst sound stages and recreated city streets (New York, San Francisco, Chicago, Springfield…) it’s kind of similar to Universal Studios Hollywood but also not comparable. 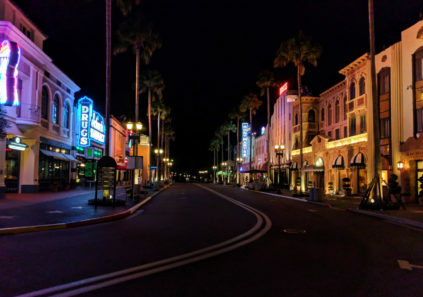 Highlights of Universal Studios Florida include The Mummy, MIB, E.T., Krustyland aka The Simpsons Ride, and just relaxing in the city streets. Actually, relaxing in the streets and people watching was kind of amazing. 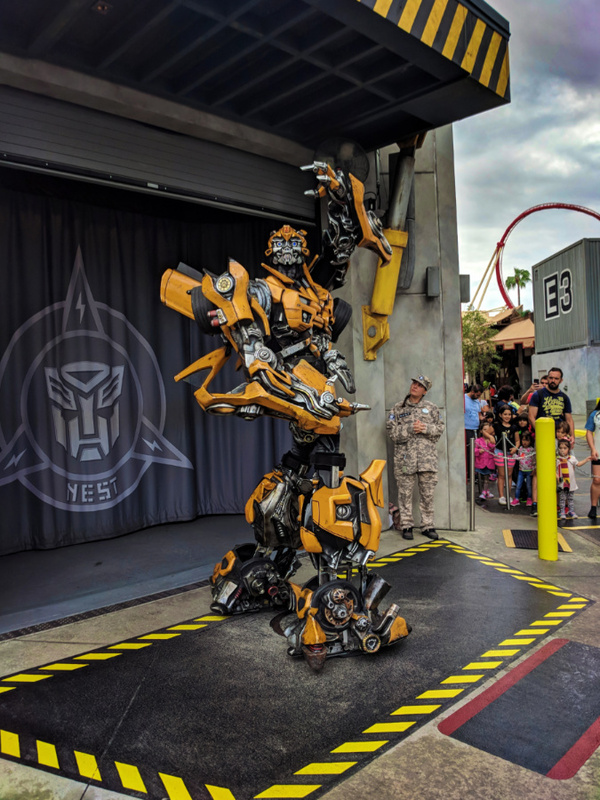 Actually, I know what the actual highlight of Universal Studios Florida was for me: meeting Optimus Prime and Bumble Bee from Transformers. While others were taken aback by the nostalgia of being in Springfield with the Simpsons or walking down Hollywood Blvd, getting to meet my childhood toys come-to-life was incredible. Tip: get the Big Pink donuts when you’re in Springfield. There’s a reason Homer loves them so much. 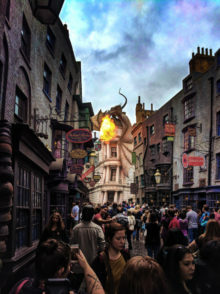 It’s difficult to say which is more impressive and magical: Hogsmeade or Diagon Alley. Both are built perfectly and are absolutely captivating. 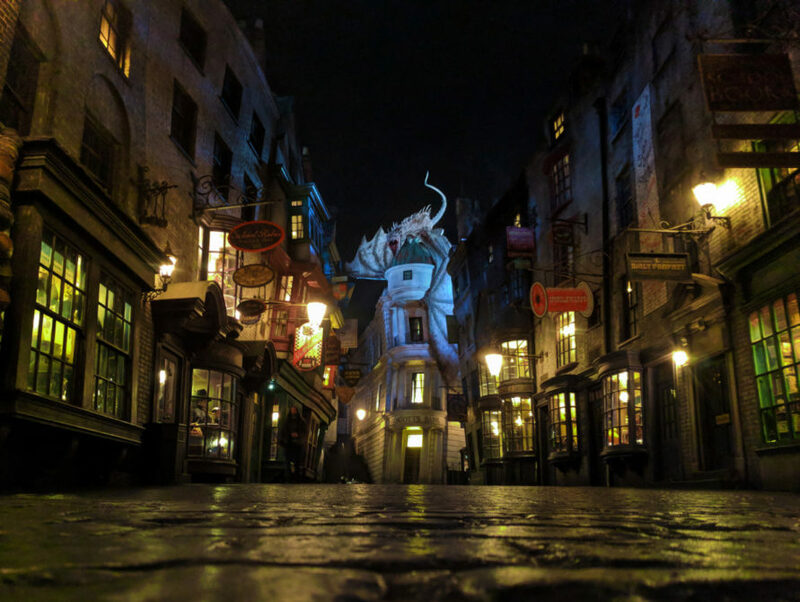 Diagon Alley has some of the most fascinating scenes, from oodles of spell casting spots to a fire breathing dragon, the Weasley Brothers’ joke shop to Ollivander’s. Fun story: a wand chose me. Ollivander pulled me from a group and… And I can’t say any more. 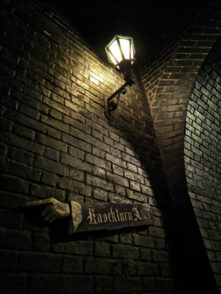 Also in Diagon Alley you’ll find Knockturn Alley, which is where the dark magical and creepy shops are found. It’s really cool too, and it has its own set of spells and surprises. 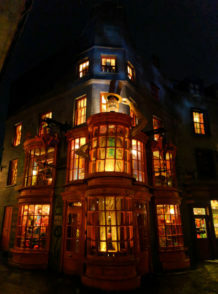 All together, Diagon Alley is just amazing. But then it also has a pretty awesome ride: Escape from Gringott’s. Half of the fun of this attraction is the queue. 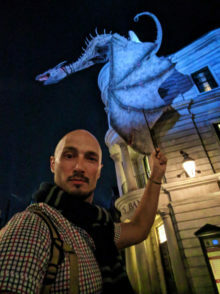 Like the queue as you’re going through Hogwarts over in Hogsmeade, going through Gringott’s is absolutely unique and jawdropping. The super special bonus experience that the Universal Blog Squad got to do was Diagon Alley after the park closed. It was just us with full access to the most magical of streets. 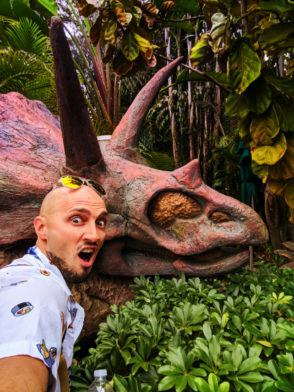 Really unforgettable to lay on the cobblestone below a fire-breathing dragon. 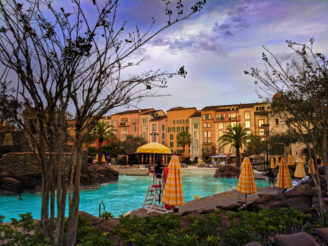 The team of the Universal Orlando Resort really did a phenomenal job when they designed and built the Portofina Bay Resort. 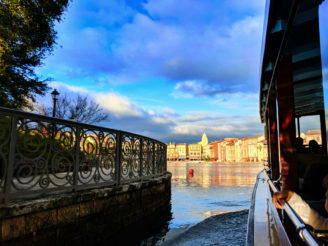 Approaching the hotel from the water taxi is remarkably like arriving in the most picturesque Italian town… like Portofino. My room was very large with a bathroom to match. Equipped with double sinks, and a separate shower and bathtub, it was awesome. Also, the pool areas were just perfect. I really enjoyed the beach pool area and took advantage of the hot tub (hot waterfall too!) several times. 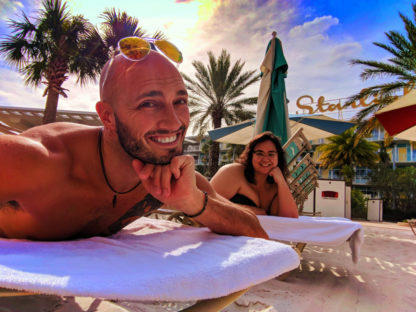 Even if it wasn’t a part of the Universal Orlando Resort, I’d be quite happy to stay at the Portofino for any lonnnggg period of time. 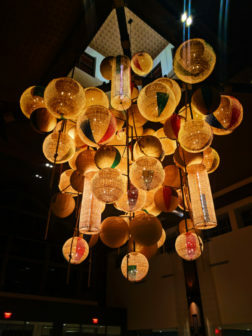 Tip: dining at Loews Portofino Bay is delicious. 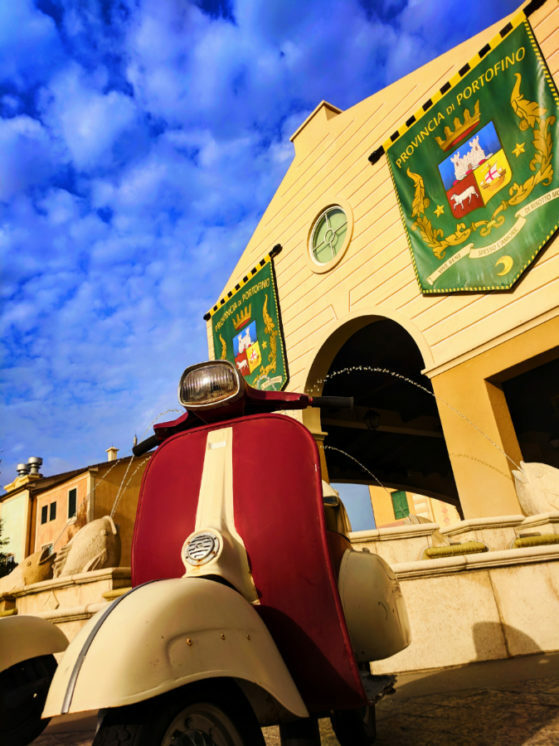 Both Trattoria del Porto (very classy breakfast buffet) and Mama Della’s (incredible Italian cuisine) are impeccable. Seriously, the best resort dining I’ve had out of the many places we’ve travel led. Getting to have VIP access to Universal Orlando Resort was really special. 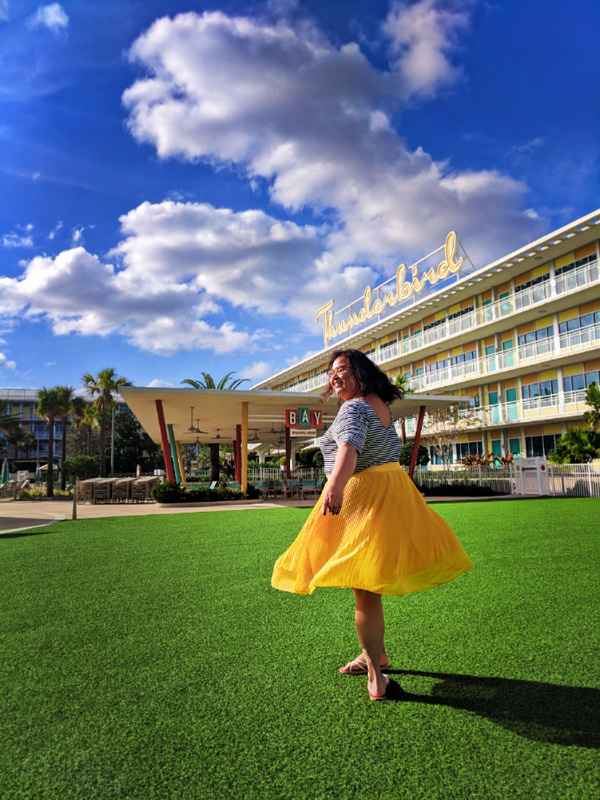 We learned some great tips to help us get through the parks swiftly and with minimal waits. We had some great meals in Mythos, Cafe LaBamba and Moe’s. I think my favorite moments though were some of the super fun, kid-type things. 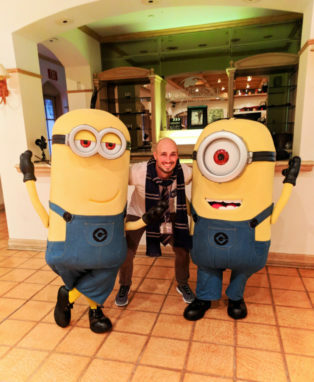 Meeting the Minions and acting like a ten year old was great. Hanging out with friends and riding roller coasters was just what I needed after a long streak of intensive travel with the kids. And of course Diagon Alley after hours. Yep, I had one more hotel. For my last days in Orlando I moved to the Hard Rock Hotel. It was themed with complete perfection. I didn’t get to take advantage of the guitar menu and lessons, or get to swim in the pool with the underwater sound system, or have a record player and my favorite vinyls sent up to my room, but I did get to relax. 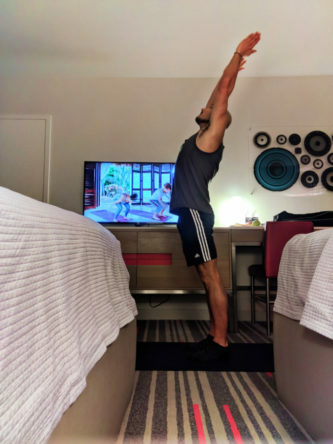 While at the Hard Rock Hotel I was able to take full advantage of the in-room yoga program, Rock Om. 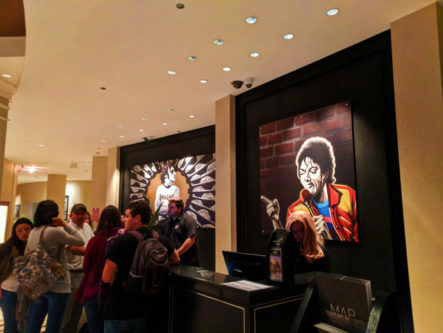 It’s new to the Hard Rock Hotel brand and is perfect for people like me. I try to keep active and leverage the fitness center whenever I travel… and I usually end up awkwardly setting up a yoga mat in the middle of the gym floor. Enter Rock Om and complete happiness. Rock Om has three different in-room yoga programs, the hotel supplies a very nice yoga mat, and you have the privacy and peace of your own room. 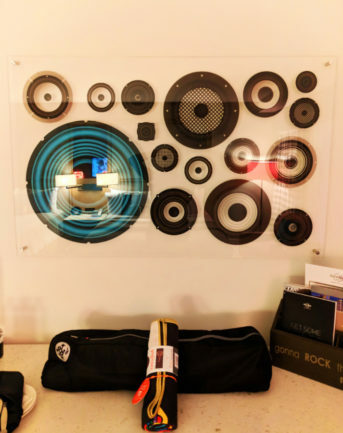 Tip: take advantage of programs like Rock Om when you’re in a hotel. 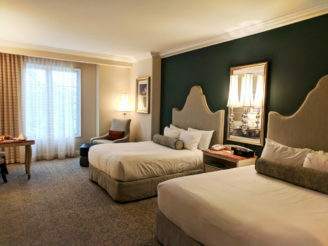 The combination of health, relaxation and calm makes traveling much easier and more enjoyable. I’m home now and very much looking forward to getting back to the Universal Orlando Resort with the rest of the family. We’ll be heading back for some fun events and just time to play. 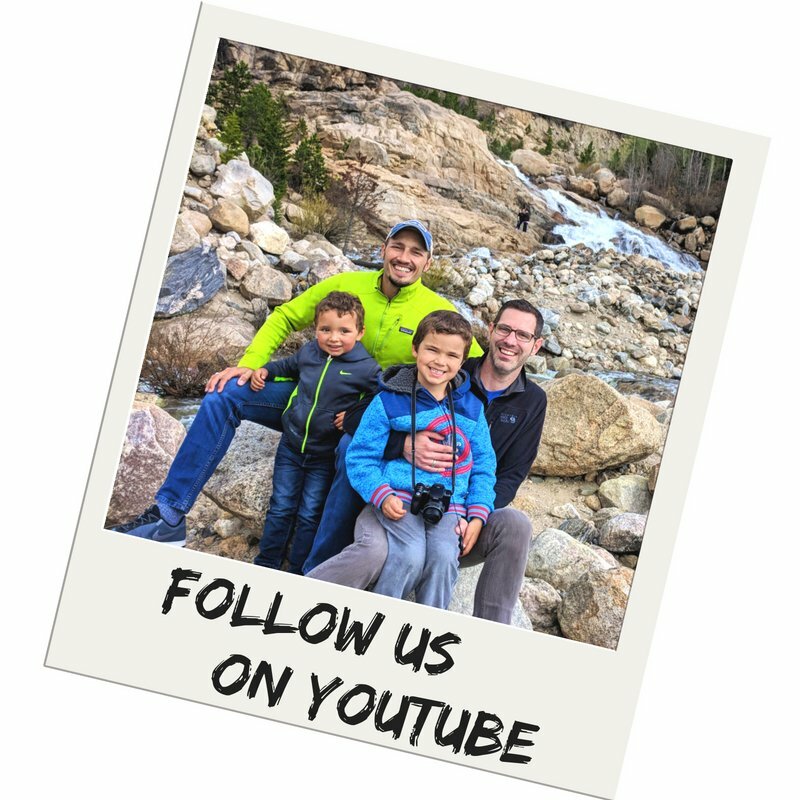 Keep an eye out for more fun tips, tricks and stories in the coming year!